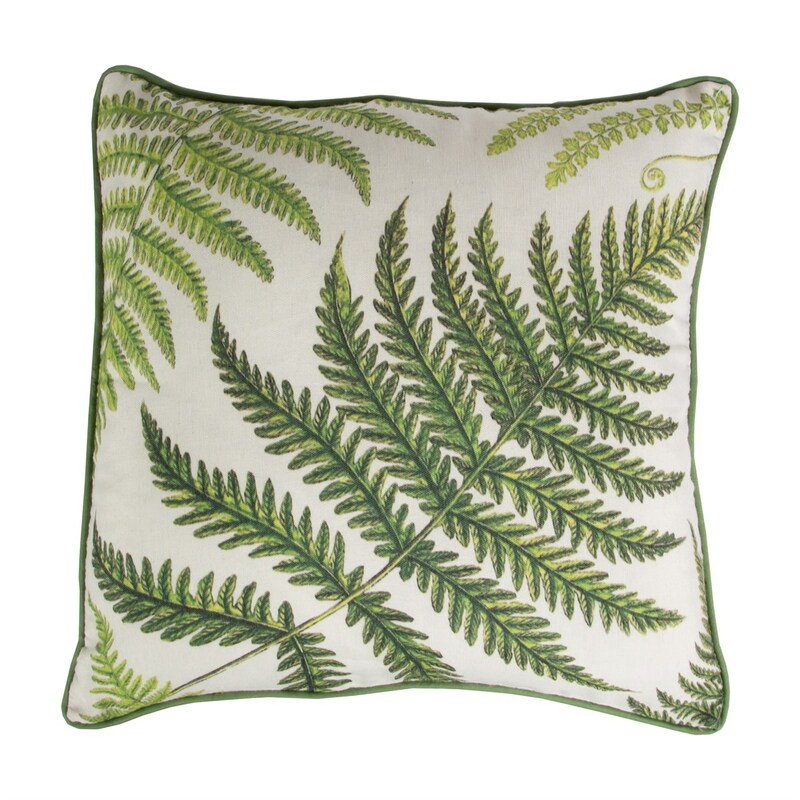 A botanical fern cushion design. Bring the outdoors in with this lovely cushion to add a fresh spring/summer look to any room in your home. This cushion comes with zip fastening cover and removable hollow-fibre inner. Price includes cushion cover and inner cushion pad. Spot clean only.